Solve It! You and a friend are swimming 20 laps at the local pool. One lap is across the pool and back. You both swim at the same rate. Your friend started first. The trail of arrows shows how far he has already swum. What equation gives the distance you have swum as a function of the distance your friend has swum? Let y = your distance and x = your friend's distance. Solve It! How far have you swum when your friend finishes his 20 laps? 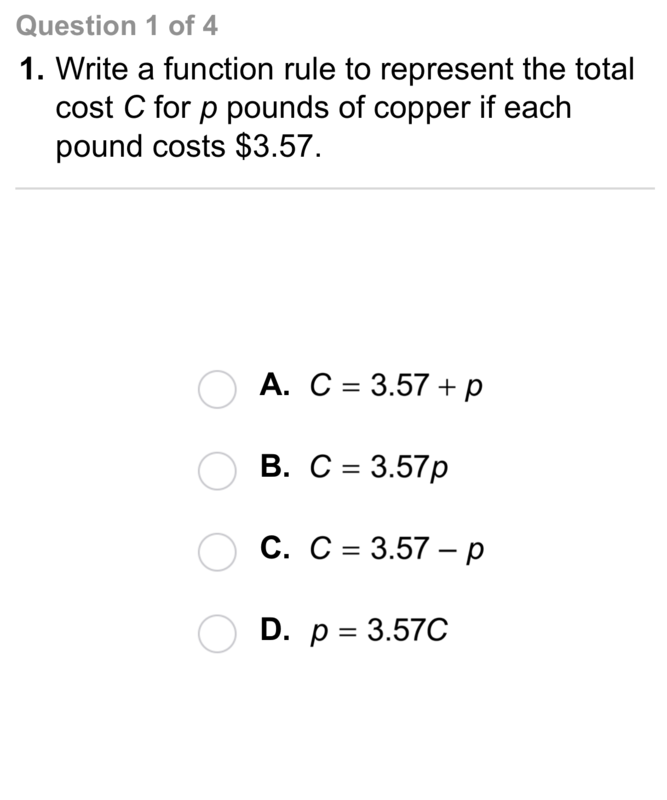 Problem 3 Got It? Write a function rule for the area of a triangle whose height is 4 in. more than twice the length of its base. Problem 3 Got It? What is the area of the triangle from the previous item when the length of its base is 16 in.? Problem 3 Got It? 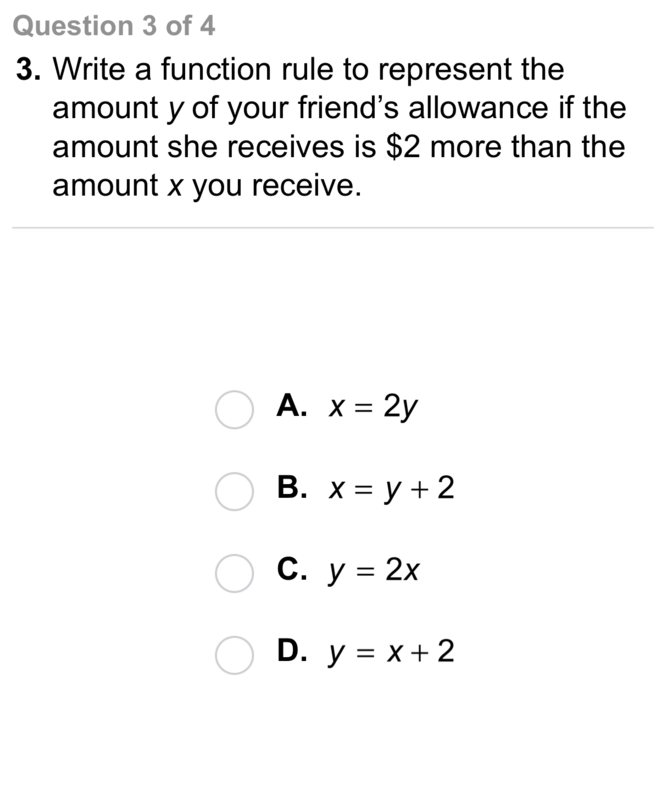 Reasoning: Graph the function rule from Problem 3 that is provided provided below. 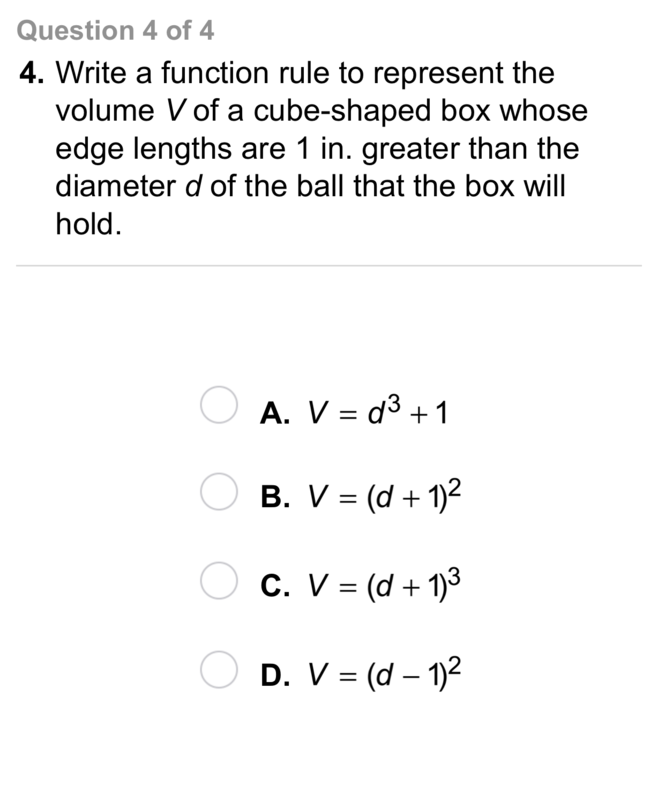 How do you know the rule is nonlinear? Vocabulary: Suppose you write an equation that gives a as a function of b. 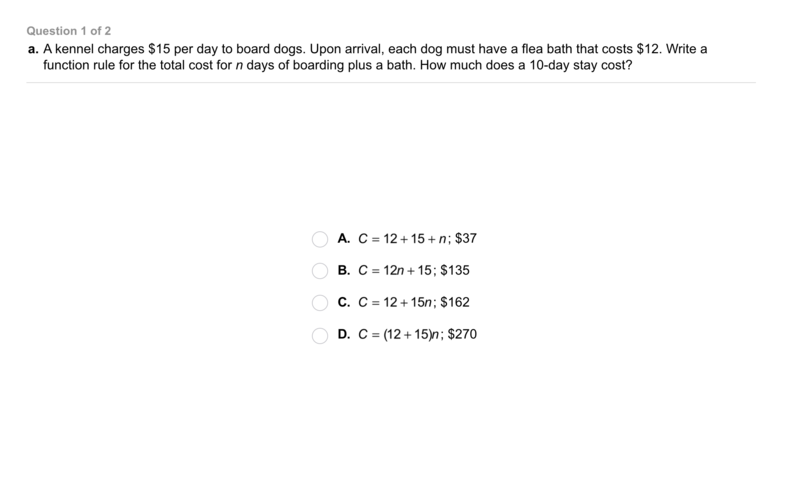 Which is the dependent variable? 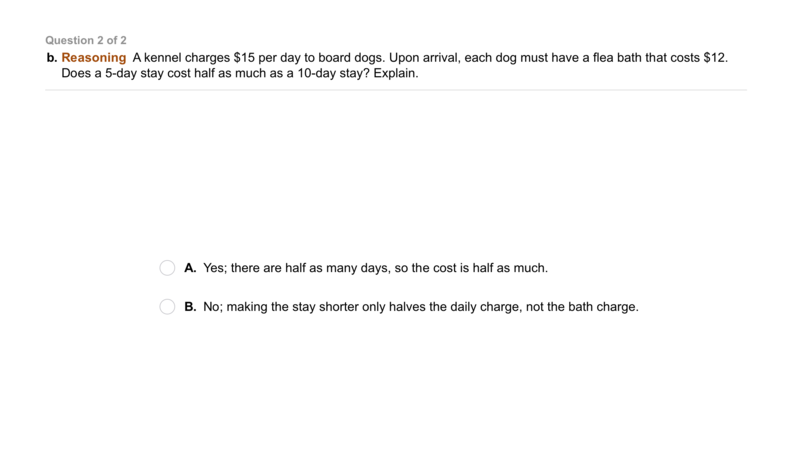 Error Analysis: A worker has dug 3 holes for fence posts. It will take 15 min to dig each additional hole. Your friend writes the rule t = 15n + 3 for the time t, in minutes, required to dig n additional holes. 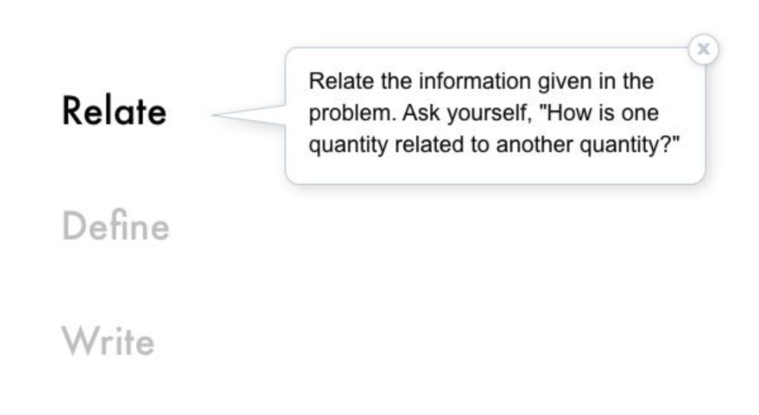 Describe and correct your friend's error. Reasoning: Is the graph of a function rule that relates a square's area to its side length continuous or discrete? 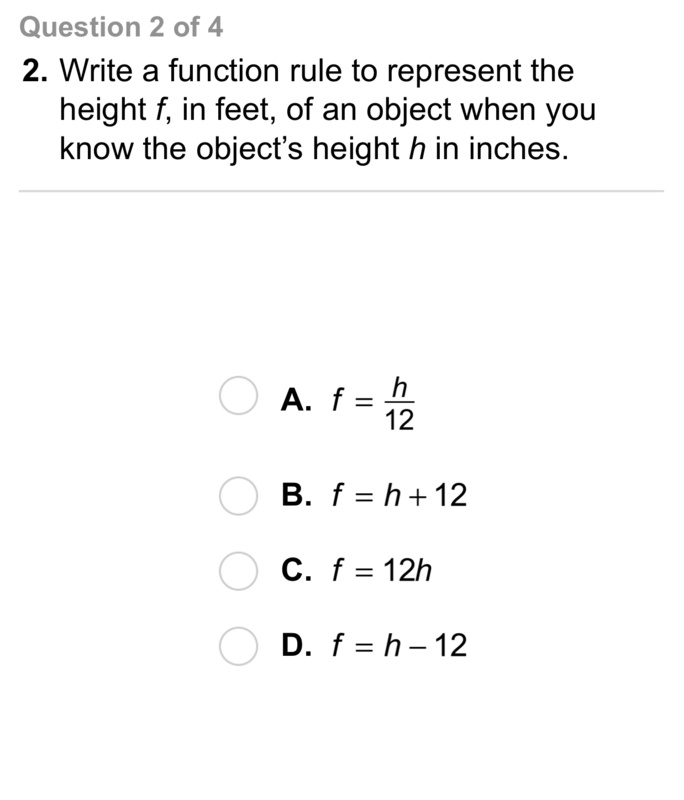 Review Lesson 4-4: Graph the function rules on the same plane. 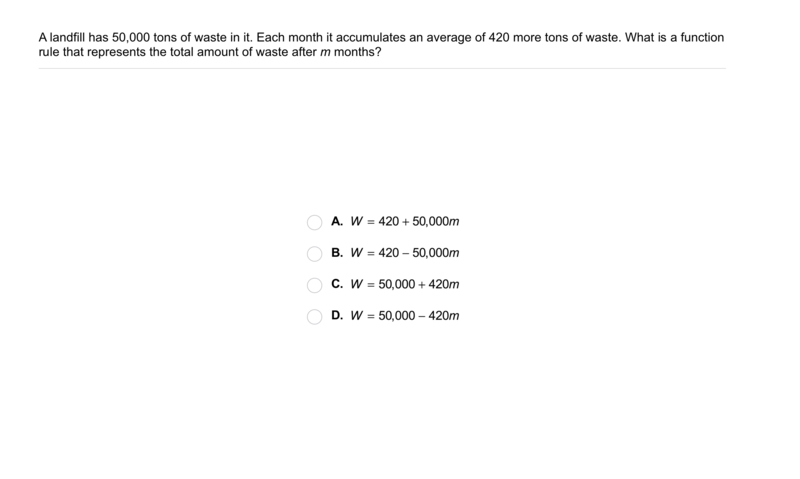 Review Lesson 2-6: Match equivalent amounts. Review Lesson 1-6: Find the product. Simplify if necessary. Enter only an improper fraction. Vocabulary Review: In function notation, you read f(x) as "f of x." You can think of the value "f(x)" as another way of writing "y." Write how you would read h(g) aloud. 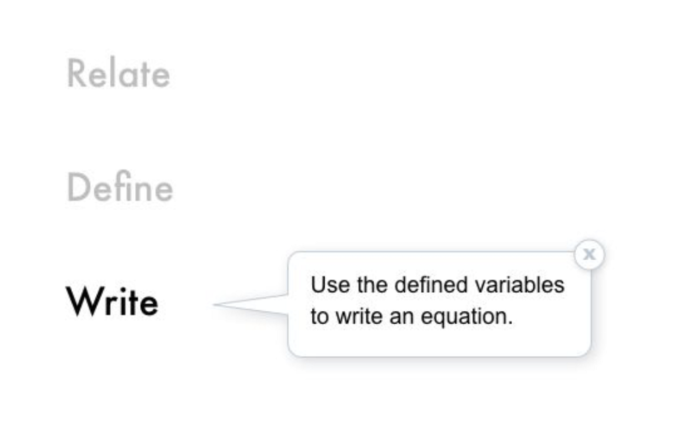 Vocabulary Review: Label the equations based on whether or not they are written using function notation.